Legion Run in Thessaloniki, Greece was as anticipated and more. 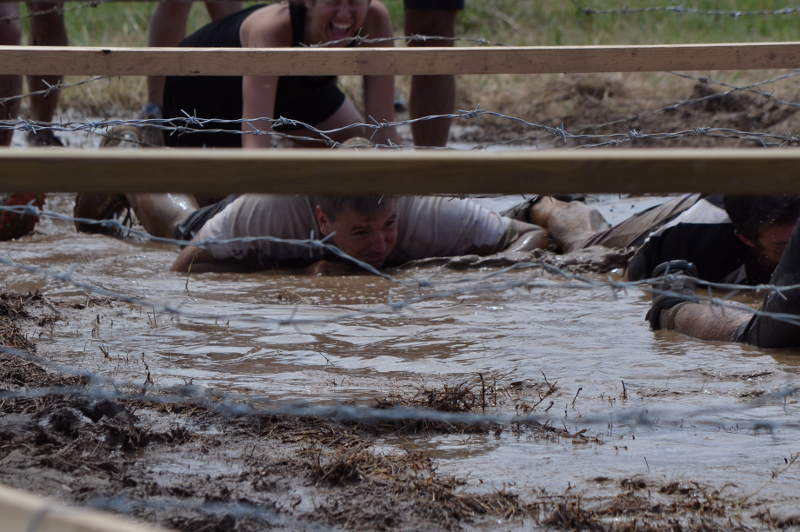 My expectation of the 5k obstacle course was a physical challenge with some mud and barbed wire mixed in along the way. The more was all of that to a greater extent than imagined and beautiful expressions of cooperation and team. It was high energy, struggle, and humanity. It was fun. It was hard. It hurt. And ultimately it was deeply satisfying. Legion Run Thessaloniki from Meanderbug on Vimeo. Though a normal Legion Run event is challenging, the 2014 Thessaloniki event was a little more so. Because one of the top female CrossFit champions in Europe was to participate, more obstacles were added. Thanks Marianna Tzourtzek. Seriously. Thank you. 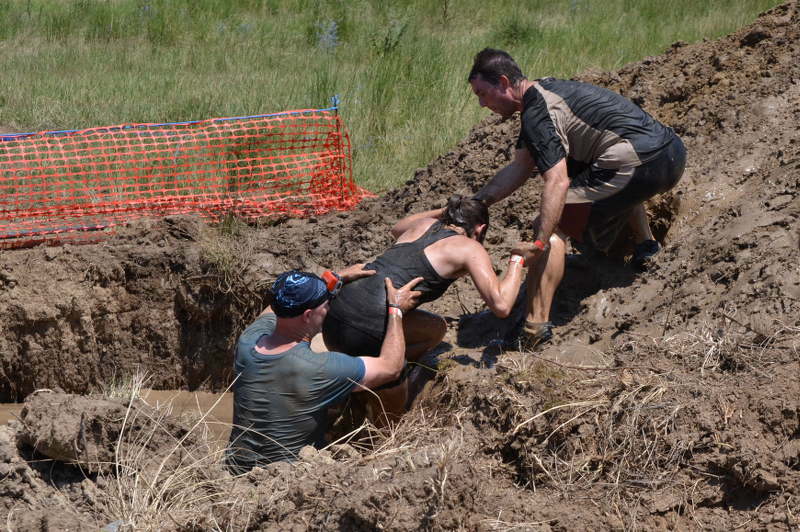 While there were several obstacles that had a similar motif, this mud crawl under barbed wire was the final event. We could see the end. It was fun and a relief to crawl this barbed swampy area seeing the finish line. An event on many children’s playgrounds, this one was made more complex with large bars spaced far apart and a coating of mud dried on your hands because of the previous events. Climb and swing away. The opportunities and examples of serving and helping each other were numerous. Of course it is expected within a team, but the number of times our team was helped and we were able to help other new friends was inspiring. Legion Run’s goal and culture was for everyone to finish well. 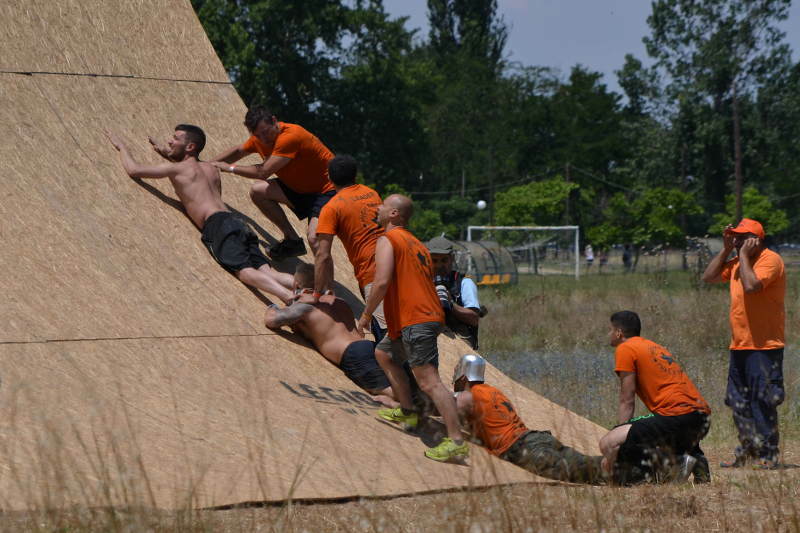 Team Piraeus shows great teamwork on the most dastardly of obstacles, the curved wall. These guys show the spirit that goes into and comes out of Legion Run. 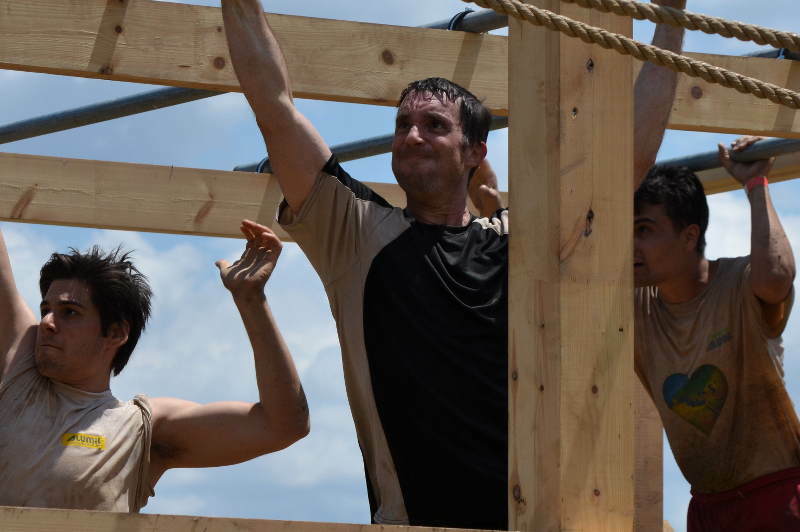 We recommend this event for a personal goal to develop and prove yourself or as a team builder. Either way, it will be worthwhile if it comes anywhere close to our experience in Thessaloniki. Oh wow. Intense obstacle indeed.